Thread: Early Info from May V-Jump- Adventure 20th, Pendulum Passcode, and More! It's just about time for the May issue of V-Jump, so we have early details and an image! Smaller updates this month after a bunch of new info last time. On top of that we we get a preview of the upcoming Precious GEM Omegamon figure which is currently up for pre-order. 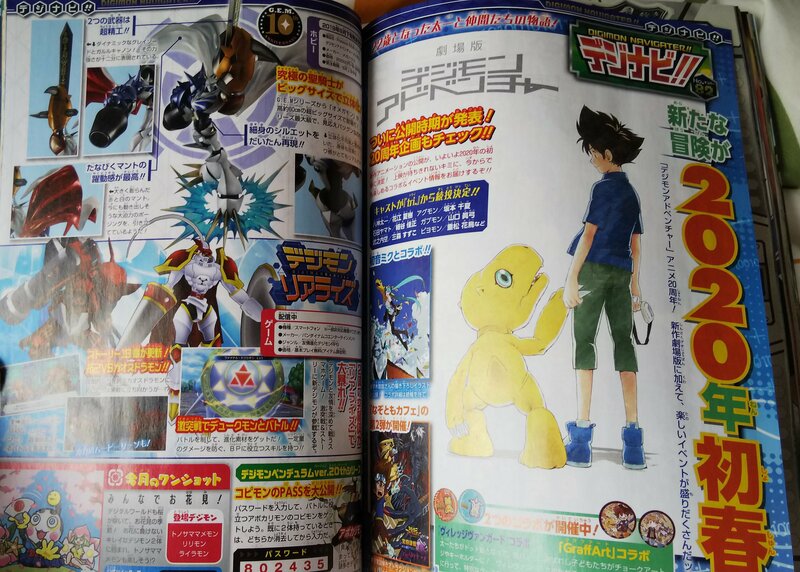 They also show off a bit of Dukemon in Digimon ReArise! And it's time for another Pendulum passcode! This is the final Pendulum passcode I believe! The passcode to get the copymon for Apocalymon is 802435. The last thing they show off is what they first did last month, showing off the Digimon social media art at relevant times. This time we get the artwork from last year of TonosamaMamemon, Lilymon, and Lilamon viewing the cherry blossoms, since we're about to enter that season. At the moment it looks like it's just 2 pages this month, but if anymore shows up we'll make sure to update! Thanks to akatuki_d30 for the image. Thinking it's a dead line at this point. Shame. I was waiting off to see if anymore came but I guess this is it. Shame really. Guess not all months are active but they really need Survive info soon. Maybe me replying will jinx it and more will come lol.